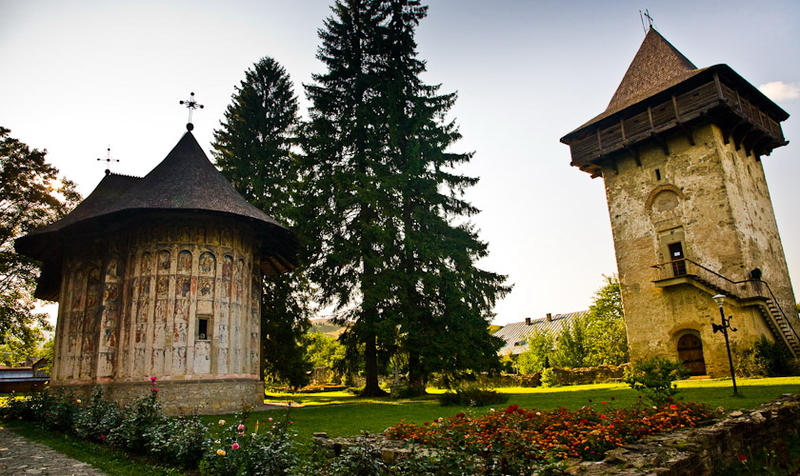 Bucovina Monastery Tour is a tour in Bucovina that you can make it at the best price. 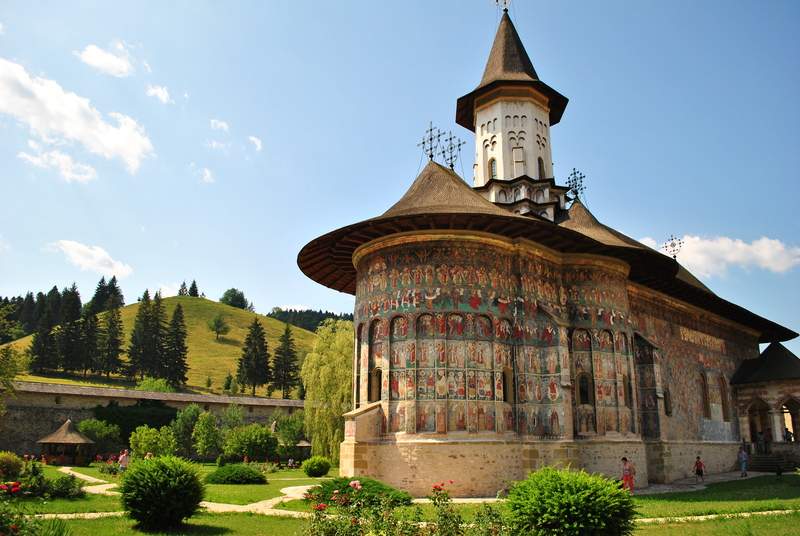 From 29 euro per person for a full day tour to Painted Monasteries of Bucovina. 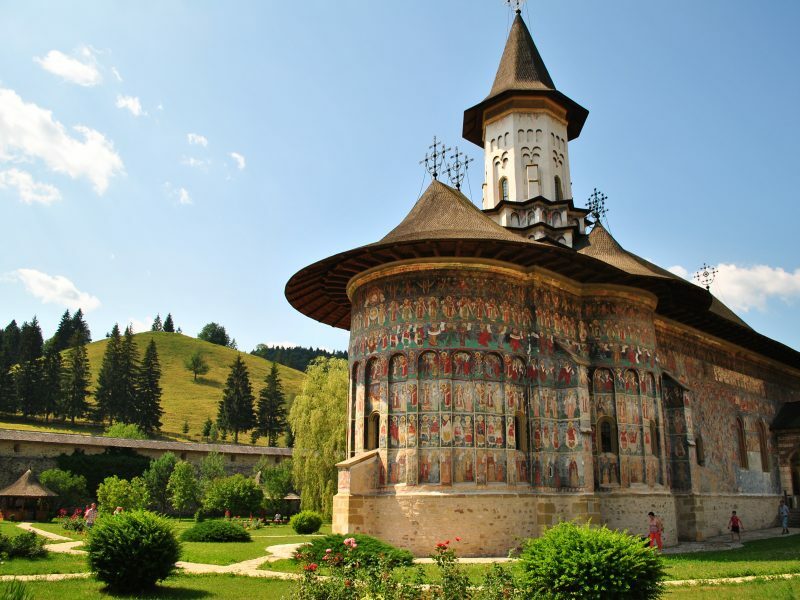 Bucovina Monastery Tour – Standard is ideal for tourists who want to see in a short time the most important tourist attractions in Bucovina (especially some of the most important painted monasteries of Bucovina). 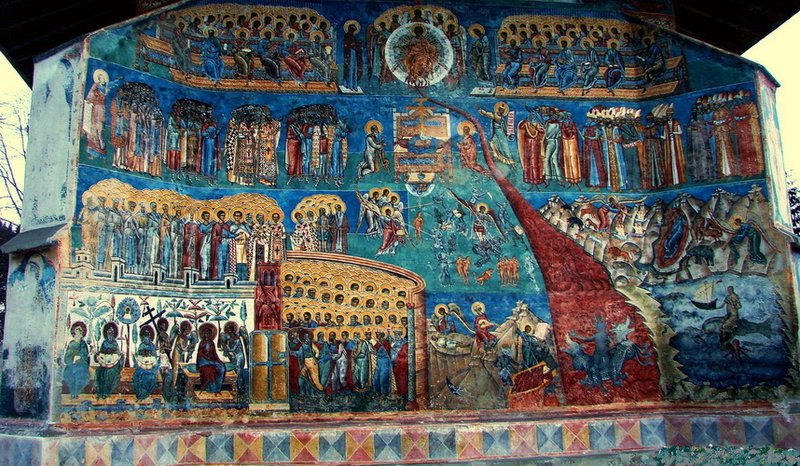 Humor Monastery – explore one of the most important painted monasteries of Bucovina. The Humor Monastery is an Orthodox monastery, built in 1530 by Toader Bubuiog – the great political dignitary from the time of Petru Rares. 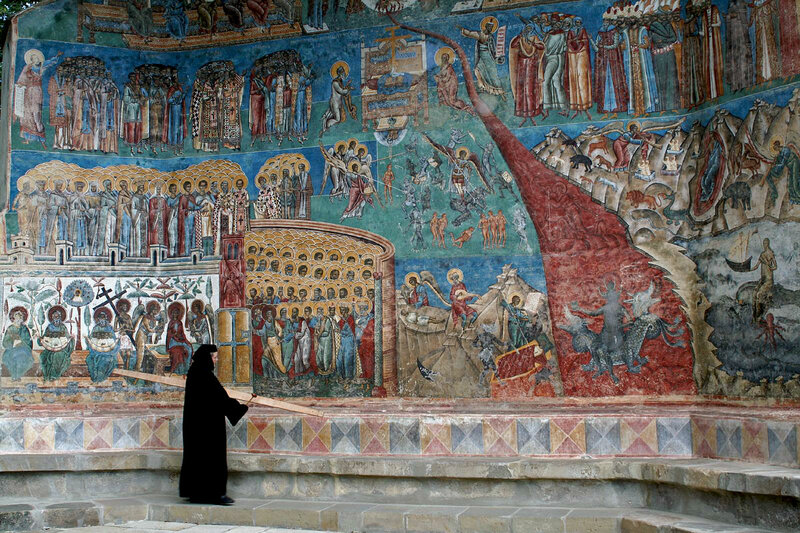 In 1993, UNESCO included the Church of the Humor Monastery, together with 6 other churches in Bucovina (Arbore, Patrauti, Moldoviţa, Probota, Suceava and Voroneţ), on the list of the world cultural heritage, in the group of painted monasteries of Moldavia. 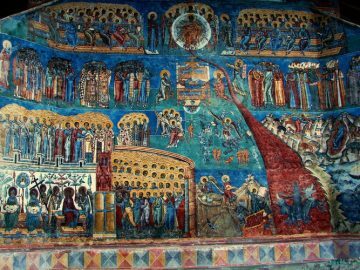 Voronet Monastery – another painted monastery of Bucovina is Voroneţ Monastery, called “Sistine Chapel of the East” for the great fresco on the western façade, called “The Last Judgment” is a medieval monastic complex built in the Voroneţ village. It is one of the most valuable foundations of Stephen the Great, and its construction was made in 1488 in only 3 months and 3 weeks, which is a record for that time. The “blue of Voronet” is considered by specialists as unique in the world and known as the red of the Rubes or Veronese’s green. The place is included in UNESCO World Heritage. 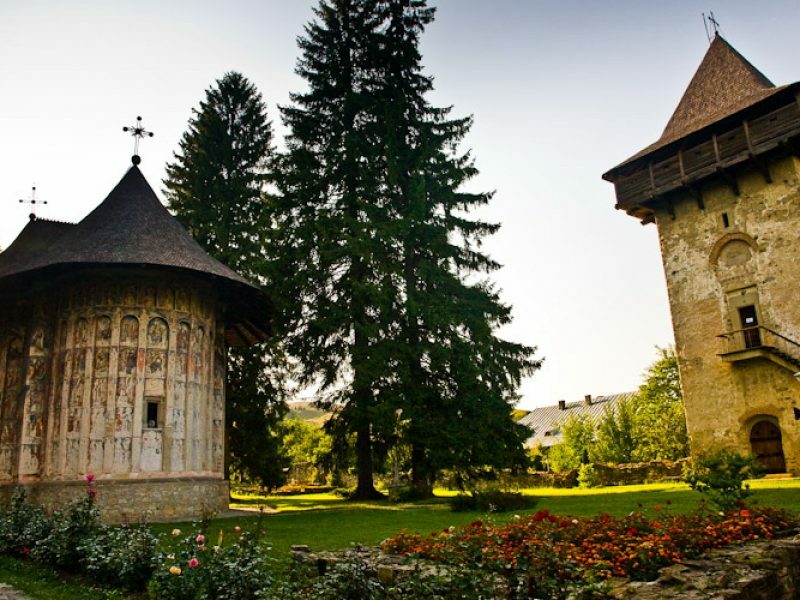 Moldovita Monastery – Moldovita Monastery is one of the most important attactions in the Bucovina Monastery Tour and it has an important and glorious historical past. It was built in 1532 by the voivode Petru Rares, the son of Stefan cel Mare. The origin of this monastery remains shrouded in the darkness of the time, and the legends of this place are fascinating. In Moldovita Monastery there is also a museum, where religious objects, rare books, icons, as well as a chair (throne), which is attributed to Petru Rares, are exhibited. Here we also find the “Golden Apple” award, awarded by the International Federation of Journalists. This prize is the equivalent of an Oscar in tourism. Palma – The next stop will be at the Palma/Ciumarna Pass at 1100 m altitude. Here we will hear the fascinating story of this place and here we can admire a dreamlike landscape, typical of Bucovina. Sucevita Monastery – Sucevita Monastery is also listed on the UNESCO World Heritage List. The legend says that for the redemption of her sins, a woman brought the stone for the current building for thirty years (by carriage with buffalo). The architecture combines elements of Byzantine and Gothic art, plus architectural elements of the old wooden churches in Moldova. The interior and exterior paintings are of great artistic value, being an extensive biblical narrative of the Old and New Testaments. 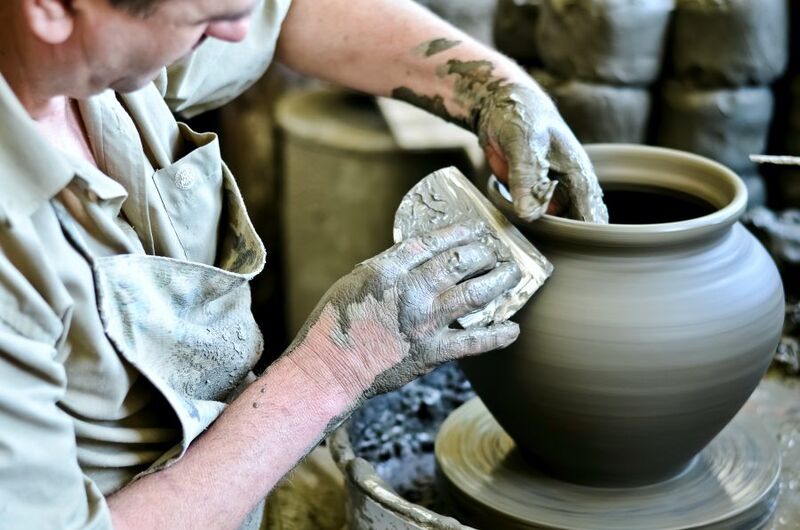 Marginea Pottery Workshop – you must visit this place. Marginea’s ceramics are characterized by the black color that objects get after burning – the result of using a prehistoric technology. 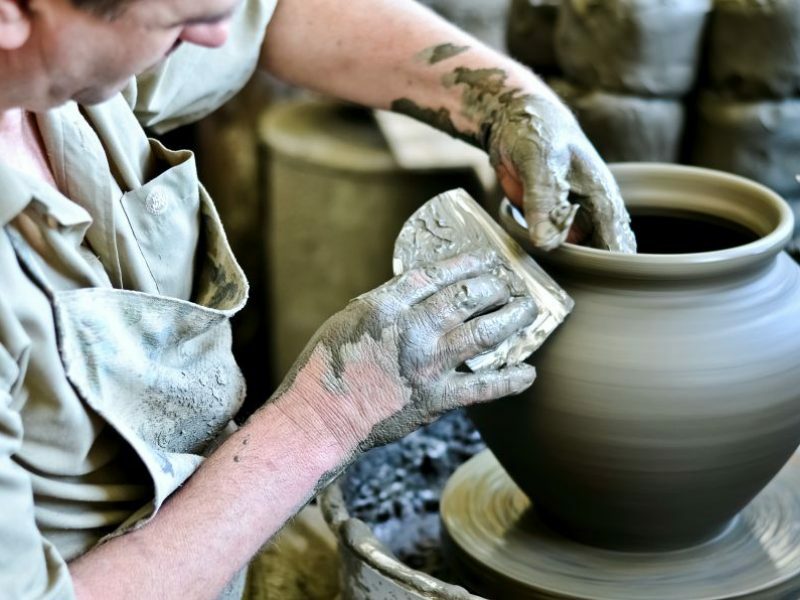 Prior to the establishment of the Communist regime in Romania, there were around 60 pottery workshops in Marginea. Then, during the communist years, the possession of a potter’s wheel was punished by law. Today, in the area, we find one such workshop, which we will have the opportunity to visit. Obviously, we will have the opportunity to witness a live demonstration. 3 pers or more: 39 Euro/pers. THE PRICE DOES NOT INCLUDE: tickets (entrance fees), personal expenses, lunch (can be organized by us), coffee breaks, foto and video taxes. International Museum of the decorated eggs of Vama, Bucovina – International Museum of the decorated eggs of Vama, Bucovina is the largest museum of its kind in Romania and one of the most important museums of its kind in the world. We can say that the museum is unique because of the number of exhibits and their value. Today we find over 7000 eggs from all over the world. The eggs come from 82 countries on all 5 continents. Dragomirna Monastery – Dragomirna Monastery isn’t one of the painted monasteries of Bucovina but it holds a unique church in Romania for its unusual proportions. By far it is the tallest and most strait church ever built. Its walls are not painted but are decorated with stone engravings. 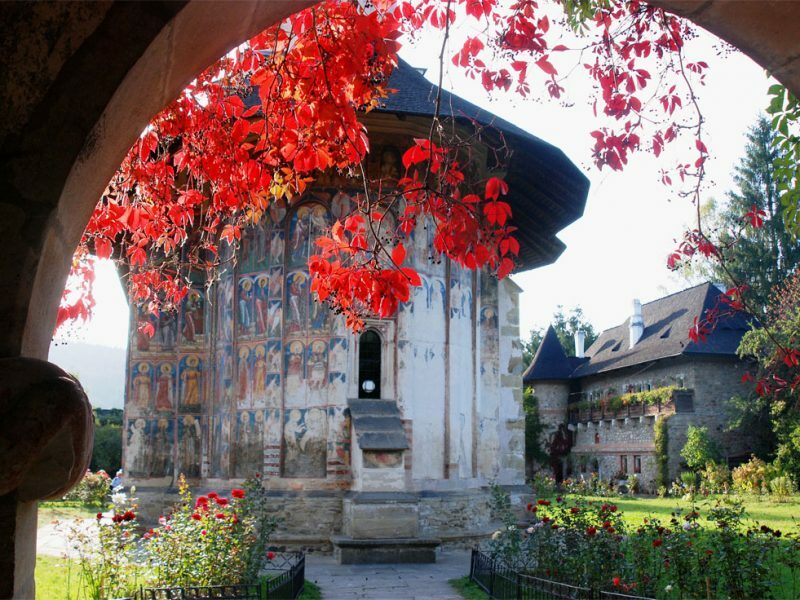 Putna Monastery – If you join Bucovina Monastery Tour, you cand make an extra visit to Putna Monastery because it is something different. 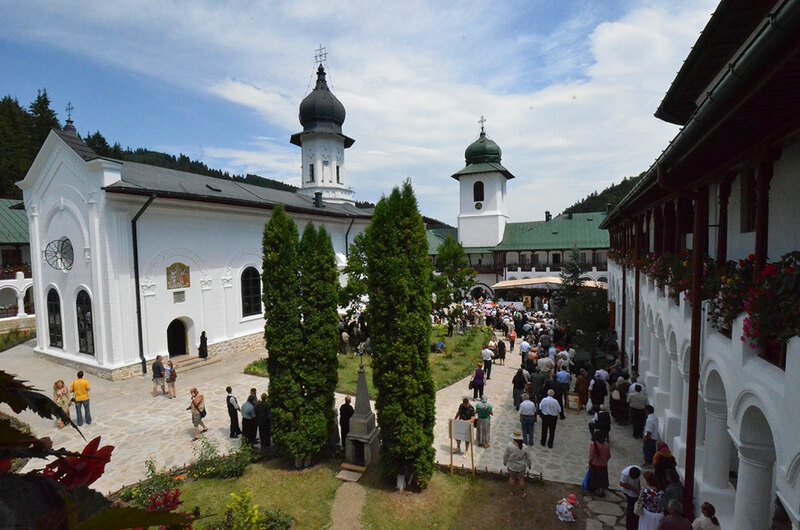 It is one of the most important monastery complexes in Romania. This is not due to the painting (because the monastery is not painted in the fresco like the other well-known monasteries in the area). The importance is due to its history and to the fact that the ruler of Moldavia, Stephen the Great, is buried here. 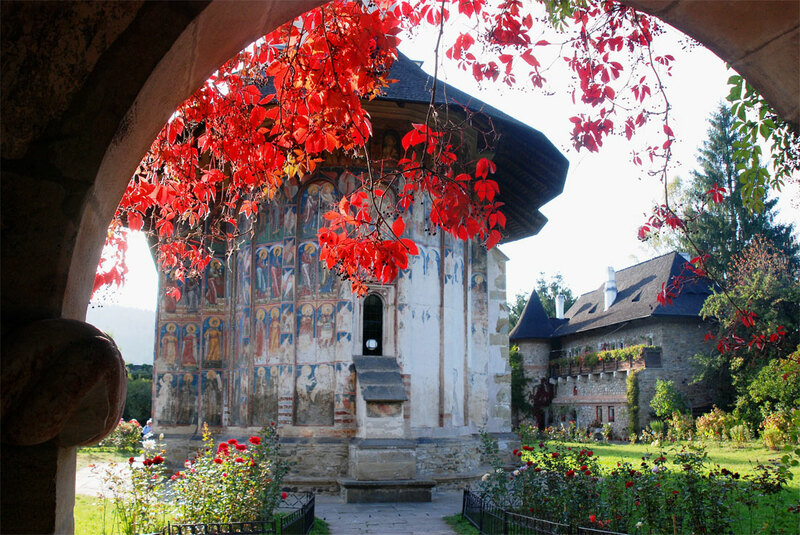 Putna Monastery is the foundation of Stephen the Great, and the construction began in 1466 and ended in 1469. The monastery also has a rich museum with embroidery, manuscripts, religious objects, icons, etc. Cacica Salt-Mine – The archaeological discoveries of the communist regime attested the fact that in Cacica there was one of the oldest recrystallized brine salt (boiling and evaporating) in Europe. Today, the salt mine in Cacica is one of the most interesting tourist attractions in the area. The entrance to the mine is made using fir wood stairs, over 200 years old, mineralized by the brine that has penetrated into the wood. The temperature in the mine is about 15 degrees Celsius. So we can descend to visit the Roman Catholic Chapel of St. Varvara, the Orthodox Chapel or the Dance Hall. 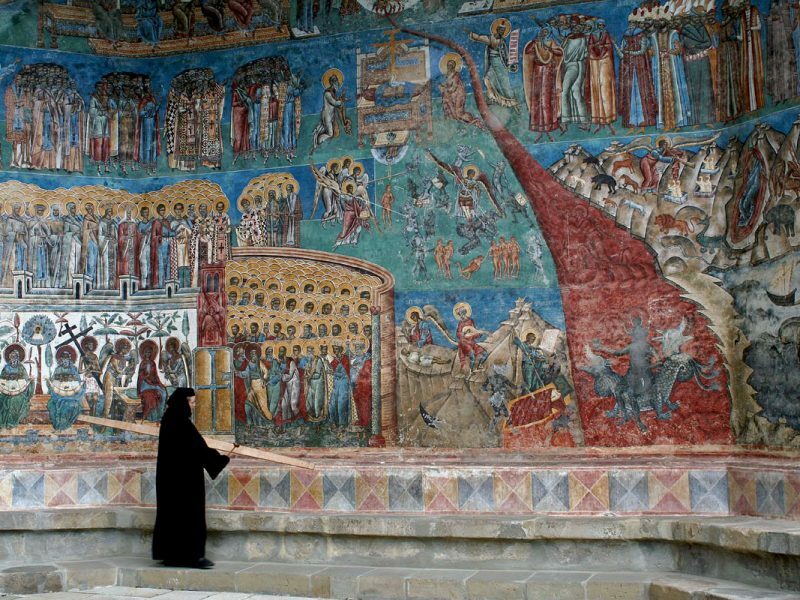 Do you want to take part in this tour to the most important painted monasteries of Bucovina? We are Campion Tour Travel Agency from Suceava/Romania and we’re ready to show you our tourism pearls! 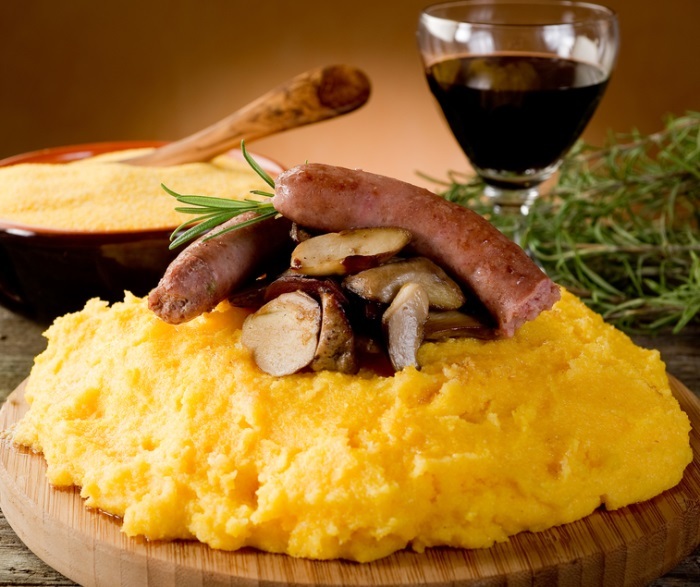 Bucovina Gourmet Tour – Taste it!